This class is offered to children of all abilities. By singing together with the support of many voices, students find their own voice and improve pitch and tone. Students will also be introduced to proper vocal technique and will learn how to read music. 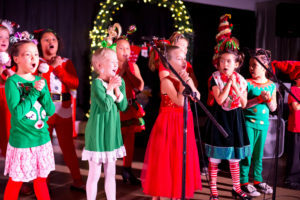 The joy of sharing music and building confidence is offered by participating in Paradise Performing Arts Center’s production at the end of each semester. June 4, 2017February 16, 2018Paradise Performing Arts Center on How Da Grinch Wen Steal Christmas at PPAC! June 4, 2017February 16, 2018Wailana Walker on How Da Grinch Wen Steal Christmas at PPAC!